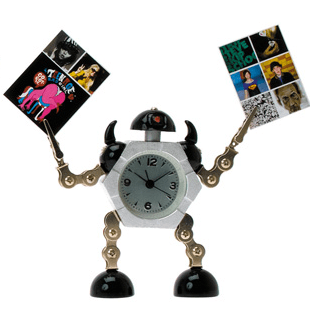 Multi-tasking robot alarm clock! Doubles as a memo/photo holder. Assorted designs. Dimensions: 4" x 1"x 6".